Cotswold Archaeology will be starting a community archaeology project in Gloucester on 13 March. 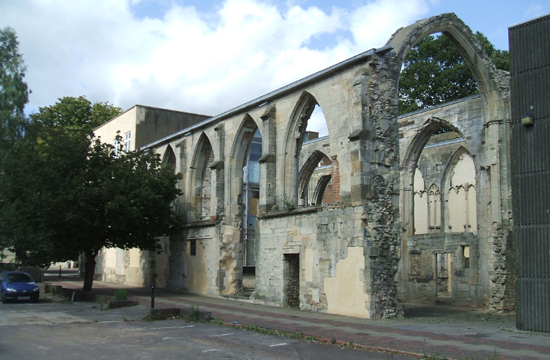 This will be a 3 week-long excavation on the former Gloscat campus site in Brunswick Road which will examine the cloisters of the former medieval Greyfriars Friary. The excavation will be undertaken by volunteers from the Gloucester City Centre Community Partnership under our professional supervision. We are delighted to be working with the Partnership on this project which will enable local people to experience the thrill of discovery at first hand. The project is being funded by Linden Homes and the Homes and Communities Agency, the joint developers of the Gloscat site, and will run until Saturday 31 March. For further information see the Gloscat project page on this website and keep an eye out for the local media for regular updates.